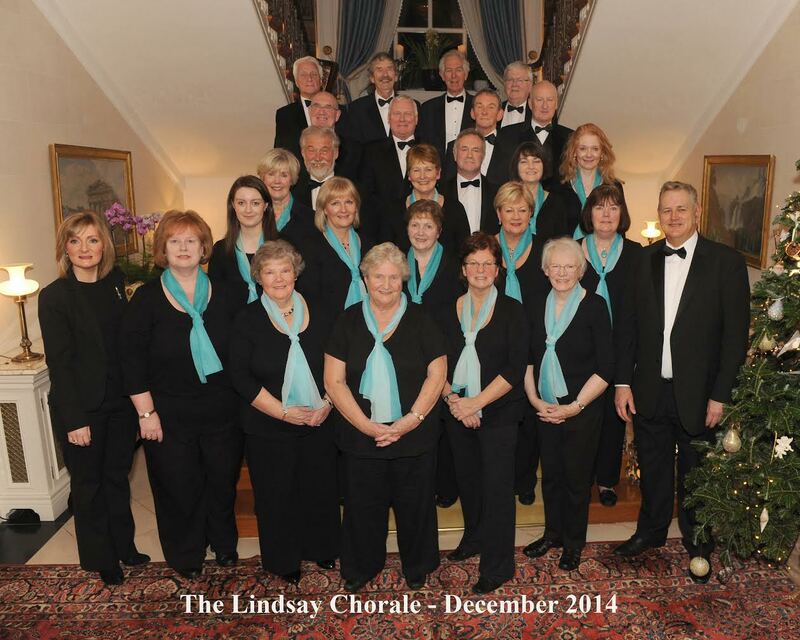 The first outing of 2015 for the Lindsay Chorale was to Conlig Presbyterian Church. The programme featured a range of sacred hymns and madrigals including; Let us with a Gladsome Mind, God so Loved the World, I waited for the Lord, and A Gaelic Blessing. The Chorale was very warmly received in Conlig and it was a great start to this year’s singing schedule. The Chorale’s Christmas Dinner took place in the Stormont Hotel and was a very enjoyable evening all round. The Chorale then took a well earned break to return in the New Year and their concert schedule of 2015. Merry Christmas and Happy New Year from the Lindsay Chorale and hope to see you in 2015! The Lindsay Chorale finished a busy Christmas Season with three nights’ singing at the beautiful Montalto Estate in Ballynahinch. Montalto Estate General Manager, David Anderson, hosted the three consecutive Christmas services featuring a selection of Christmas music and recitations by the Chorale, finishing off with an audience participation number! The music was interspersed with festive readings from Dickens, Laurie Lee, and an entry from the Diary of the Reverend Francis Kilvert, read by John Ashe. Here are the Lindsay Chorale at Montalto with their MD, John Dallas, and Accompanist, Sheelagh Greer.